There is no doubt that Wealthy Affiliate is the premeire online business building and training resource for those selecting a niche and becoming affiliates of companies that supply that niche. However too often I see many new members struggle to find a niche, always asking, what is a niche? So what exactly is a niche? We are all involved in many different niches every single day but for some reason people cannot grasp that simple fact. Perhaps they just do not know the meaning of the word niche. Though there are a few definitions of the word, let me give you the one that pertains to affiliate marketing. 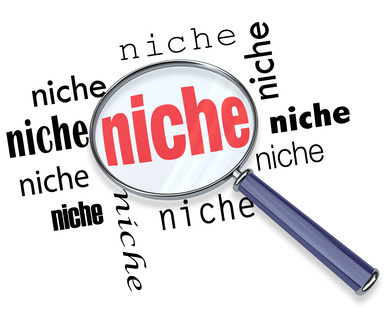 A niche is an area of a market specializing in one type of product or service. On the upcoming pages of this tutorial I will be giving you examples of some popular niches and how you can break them down into a more focused or specialized sub niche. When you decide on what that sub niche will be from that more broad niche market, you can then effectively begin to make money within that specific market. And even though the niche market may have several products associated with it, you always want to start out focused and grow broader. Obviously in order to make money in a niche you first have to select a niche and then focus it down to a specific sub niche of the broader niche market. Before I continue let me give you the definition of what is niche marketing and then how affiliate marketing ties into it. Niche Marketing – Creating and concentrating all of your online marketing efforts on a small specific and well defined segment of the population. A niche can be created by identifying the needs, the wants, and requirements that are either being poorly supplied or not at all by other people or companies. For example, a popular niche market is the cosmetics market for African American women. Naturally face makeup is going to need to be different for women with various shades of darker skin than those with lighter skin. Choosing this niche has been proving to be quite profitable. In order to make money in this particular niche, as is with all other niche markets, you will then have to become an AFFILIATE of various cosmetic companies or retail outlets like Amazon that sell this kind of makeup online. 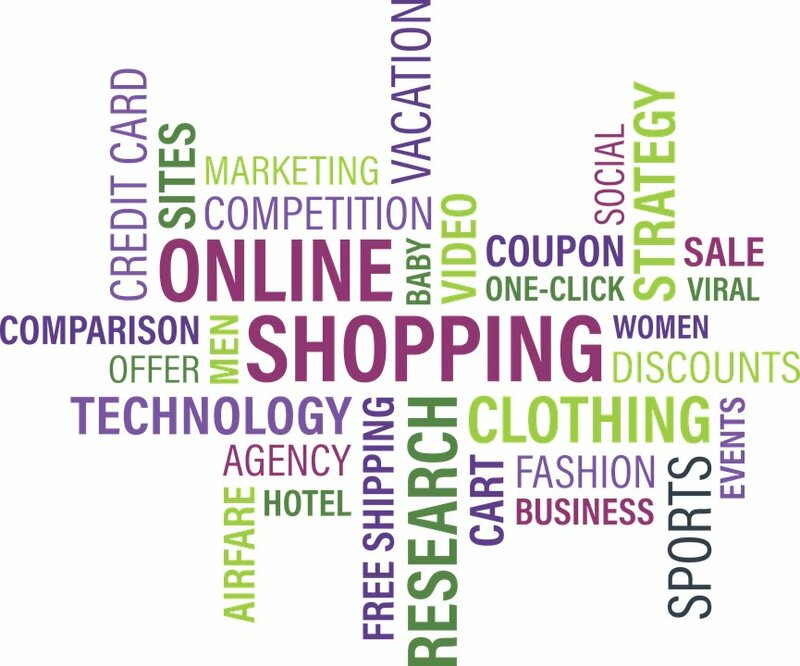 These companies and retail outlets will be paying you for your marketing efforts. By creating content that promotes your niche and directs your website visitors to these companies via affiliate ads/links, you are now engaging in affiliate marketing. Basically you are promoting other people’s products and directing them to the places that sell these products. In return you get paid a commission. Thank you! You write well. You provided us with clear information that is well laid out and easy to understand with appropriate visual examples to help us better understand and remember. You've given us some excellent ideas that can break through the mental blocks that have delayed or prevented us from choosing a niche. You've even shown us ways to improve on those niches that we've already focused on or chosen. You've shown us how to break down broader niches into their more specialized sub-niches. More importantly, you've explained how that can improve our chances of becoming big fish in very small ponds via the opportunity to develop into expert authorities in our chosen niches. Excellent, sir! You have helped us immensely. Wishing you continued success in your businesses and your training. You are welcome James. I always try to be as thorough as possible, yet keeping the explanations simple. Using visuals helps me to accomplish this effectively. Thanks for this information as this makes since but I am confused as to if I were to choose travel let's just say.. do I mention all the different ways to travel or just one. So If it's one, let's say by air, do I then list all the different airline or just discuss one. Do I break it down even more and talk about layovers or unexpected delays or turbulence on the flight which you might experience and maybe flying coach or 1st class or do you talk about all of that or would you leave certain things out. If you were to do a website in the travel niche I would suggest you focus in on a particular aspect of travel. It could be about what are the best kinds of travel luggage to use. It could be about hotel and airfare reservations on a budget. You could make the website about which destinations are great for cruise ships. Travel is too broad on its own. You need to focus in on a specific aspect of the travel niche and start from there to see what kinds of products are available to promote. It can also be about traveling by car and what kinds of items would be needed for a long road trip. --My niche is really huge, not sure how I would be able to "rank" high enough to draw people in - keywords/SEO and all. --There are plenty of Affiliates, if I can actually get people to my site. --I would like to brand my site name. Will people still be able to find me if my name does not exactly match my niche catagory? --Can i offer/integrate WA on my site even if it is off topic? I think I'm over thinking this, but I really want to start building my website and need a niche! You are welcome Michele. You probably are over thinking this, most people do. You can make any niche rank highly by just writing quality informative content. What do I mean by quality? By using low competition keywords you would write your content in a way that is conversational and informative. When your content is unique and different than all others out there, Google will take notice and rank you higher. But before I can help you further, I have one question for you. What is your niche? And what have you narrowed it down to? My niche is plus size career and casual clothing for women; how to dress right for your body type. I also want to integrate the WA opportunity into my site as well, or maybe I should do a separate site for that? I would also like to blog about flattering hair styles for different face shapes and hair care/beauty products that enhance individual features - which is most likely a different site as well. I did the Google search you suggested in your training, and the results for plus size clothing were astronomical! Thank you for responding to my questions, and for offering additional help. Your niche of Plus Size Career and Casual Clothing for Women is narrow enough. However integrating WA into that niche website will not work, it's a totally separate niche. Flattering hair styles would also be another different niche. Each of these would need their own website. There is only one place on a niche website where you can subtly promote WA and that is on your About Me page. Very good tutorial. This has opened my eyes some more about narrowing my niche. The niche my website is in is football, but I narrowed it down to the English Premier League, with the focus being on the Manchester United Football Club. So my niche is on: the manchester united football club, and I create content on the club's transfer news, players, match results, football gears such as shoes, etc. Would I need to narrow it down some more? My website is called myunitedfootball.com. You can take a look and let me know what you think. I think your niche is narrow enough. Target good keywords to drive more and more traffic. No, I think it is narrow enough. Your website looks great Nickoy. You are welcome. Health is not only a very broad niche but it is also quite profitable because there are so many sub niches one can target. Ok. So Lets say I'm looking at Sony for example. Are they satisfying multiple niches as they are involved with everything? Both accessories and games would also need to be more focused. Games in particular has many sub niches. You have football games, basketball games, first person shooter games like Call of Duty, racing games, and so on. Hey, I'm thinking of picking vegan weight loss products as a niche for my website. I want to focus on something that's a healthy vegan product because I have a lot of knowledge in that area. Is this a good niche? What would be most profitable to focus on within the realm of veganism? Yes, that is a good niche to focus on because it is specific to vegans. There are several things you can focus on in the realm of veganism. How about food prep and storage or perhaps fruit and vegetable juicers with different juice recipes? That latter idea could even be of interest to people searching for healthy weight loss options that do not require a lot of dieting or exercise. If you use keywords that can pertain to both vegans and weight loss, you could capture traffic from both niches. As a newbie I was trying to think of a niche market that I could work towards and your tutorial was definitely helpful in that direction. Living in Texas, I have an idea for a niche involving Texas. Need to refine it somewhat and try to get it up and running as I go through more of your tutorials and others. Along with going through the training here on WA. You are welcome and being that your niche will be targeting Texas, you have taken the first step at narrowing it down. If you need feedback on your more focused sub niche, don't hesitate to ask. This is great info for newbies like me you do a great job on narrowing that niche down. I have analyze to the point Paralyzed I need to break out of this and move forward. 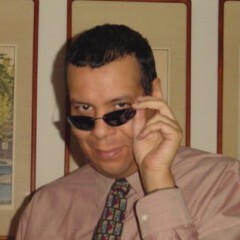 I will follow you and share your posts. Thanks so much you are a part of what makes this community great!! You are very welcome. I am happy that this tutorial has helped you and this community to understand, find and narrow down a niche. Most times a simple process like finding a niche can become difficult because people tend to overthink the process. Just looking at your WA profile I can see at least a dozen different narrowed down niches. There are niches all around us. Hi Robert, thanks again for your direction. I am completely new to all of this so your counsel is of great value to me. If I am going to narrow my niche down and concentrate for example on a specific item of men's clothing, does the domain name of the website have to be specific to the product? I have a domain registered for which I specifically want to target affiliate marketing. Would it be better for me to register another domain dedicated to the product/niche? I think the answer is probably quite obvious but why not ask those who have been in the water for longer? With the low yearly cost of a domain name, if you wish to secure another name just in case, then I see nothing wrong with that. Many people buy multiple names. I actually secured three different domain names for a new niche market I am starting up because one day I plan on having two websites in this niche. As for your domain name exactly matching your narrowed down niche, no it does not have to match but it should be relevant, unless you are going for a name you wish to brand. What was the domain name in question that you want to use with your mens clothing niche? one of the biggest downfalls for many marketers is trying to get that perfect niche where you can lasso the whole market .if there is a lot of competition in your specific niche alot of times just means there is plenty of potential customers in your area so theres plenty of buyers for a lot of other competitors.i myself have gone searching and digging deeper and deeper into sub niches to find the perfect niche only to find that after all my diligent work and being really targeted that now there wasnt enough customers needing answers and products to support my competitors . myself so more often than not your better off using a little broader sub niches that can support the wants and needs of your specific market. Yes this is true for some niches and it is why I always say to start out as narrow as possible but to always grow your niche broader. Some niche markets you can stay narrow and do quite well, but then there are others that you will ultimately have to grow broader to garner more potential sales. Your trainings are helping me so much! Also love the Star Trek items in the picture. Are you a fan? I certainly am and have a number of collectables myself. Very excited about the new series in Sept. I'm new to this and am still trying to create my website. I bought a domain, gadgetsforanything.com and thought I would try to focus on a particular type each week e.g. emergency tools for the car, pet drinking fountains, charging stations etc. I have four different tools for getting out of the car in an emergency so could review each of them. I'm assuming I would then put a link (as an affiliate) to say, Amazon, REI, and so on. I'd value any thoughts you may have on the stuff I've talked about. Thanks again, you are a goldmine of information. You are welcome Ann. I am happy my training tutorials are helping you to better understand the various aspects of building a successful affiliate marketing website. I think your niche idea for helpful gadgets is a good niche and you will want to separate that niche into sub niches. Have a page for Car Gadgets, another for Pet Gadgets, and so on. Make these pages as Parent Pages and create a drop down menu from them to include other relevant pages within that group. This way it will be easier for people should they want to only view gadgets in that particular category. As for a theme, choose what you like. But remember, the more simplistic the better it will look on a smaller screen of a smartphone or tablet, which is the way a majority of people surf the internet now. Yes I am a Star Trek fan and if I had time I would create an affiliate website in the Star Trek niche. The Star Trek Store has a great affiliate program and can be quite profitable for anyone wanting to get into this niche. I even created a blog post about this niche and provided information on what payment details The Star Trek Store offers to those who become their affiliates. You can read my blog below. Check out the video it contains. Every Star Trek fan will love it. On a website like the one mentioned above by Ann, what would be your approach regarding sub-niches growth? Would you work on all sub-niches at the same time or work on each individual one till you run out of things to write and then move to the next one? I would work on one sub niche at a time but would start work on the next sub niche before ending with the previous. This way they overlap and you have a constant flow of content creation. whoa, ive been banging my head trying to understand the meaning of a niche, and its 00:45 in the morning and i just read your article. and its finally hit me. you have explained it in such a simple way, even a thicko like me can understand it lol. not only have i understood it. i even did an example ie. i drew a simple house shape and with arrows going out 1 was named bedroom another named lounge etc etc last was garage. the i took each example ie the kitchen then i named all the sub niches in the kitchen, ie fridge,cooker etc etc. i settled for something in that house as my niche. my acheing head is now cured thanks to you. ps I'm so following you now. You are welcome David and you did a really good job at discovering the sub niches of the home/house niche. You just need to take the broad niche and break it down into the smaller sub niches that are associated with it. And if possible break the sub niche down again. Not all sub niches can be broken down. But here is a broad niche that can be broken down many times. The Automobile niche. Your "house" example is perfect. Anyone can understand the concept. Hi Boomer, I have a very broad "caring for a senior dog" niche. On my website can I create small focused "niches" instead of having to create new websites? For example - dog beds for small dogs as a niche will have a category and a page. The same can be done with another niche such as wheat free canned senior dog food. If these small focused niches all pertain to senior dog care, then yes you can do that. Not a problem. Very comprehensive niche training Robert. But the EOD the challenge of being viewed as an "expert" in a any micro niche comes back to generating a steady stream of relevant posts. For example ... I've become fairly decent using my desktop computer, but I don't consider myself a "Computer Geek". So how would I compete with the Geek competition in say the "Computer" micro niche you listed ... USB flash drives? You do not need to be a computer geek to compete. You just need to provide the information that people are seeking in your respective niche. Though you may never out-perform the computer geek, does not really matter. You do not need to out-perform but rather provide enough information to share in the revenue stream for that particular niche market. Thank you Robert, what a great keywords tutorial! Extremely well explained. This will help so many of us WA’ers, going forward. Also, I just begun keyword research in the “how to detox” niche and I have a question: How can I keep all of the “soon to be many” keywords organized? I know that some people use excel, google docs, etc. If I could just see an example of how this should be organized it would be extremely helpful. Hope you can help me. If you are using the WA keyword tool you can always just save your selected keywords to a list and just name the list accordingly. Just one other thing: What tool can I use to generate lots (batches) of long tail keywords? I am not sure of any tool that is available. I just come up with them on my own. A long tail keyword is generally any keyword that is three or more words long. After reading your tutorial, I realize my site needs badly to become a niche. Now it is just a generalist site on natural remedies for serious diseases But, because I get no comments and no subscribers I think I have to transform it into something more specific, more focused on one or other aspects of natural healing. I came to the conclusion that perhaps people with serious diseases are so seriously sick that do not have energy enough left to spend time reading about how to heal from them or do not give a damn any more. Do not focus on the broad niche of natural healing, it is too broad. Yes, you should focus on one specific aspect of natural healing and there are a lot of affiliate programs available to choose from no matter which sub niche you focus on.